776 pages | 3 Color Illus. | 166 B/W Illus. 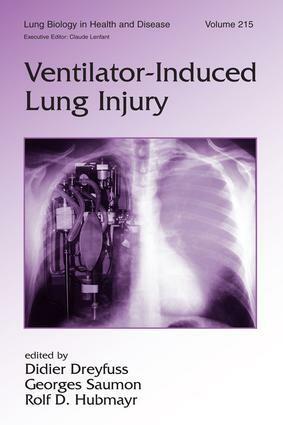 This reference surveys current best practices in the prevention and management of ventilator-induced lung injury (VILI) and spans the many pathways and mechanisms of VILI including cell injury and repair, the modulation of alveolar-capillary barrier properties, and lung and systemic inflammatory consequences of injurous mechanical ventilation. Considering many emerging therapeutic options, this guide also reviews the wide array of clinical studies on lung protection strategies and approaches to ARDS patients at risk for VILI.